The brains behind the legendary Early Bird Cafe in Cathays, Ceri Johnston talks about her passion for creating great food, hiraeth and falling in and out of love with her commitment. Growing up in America, Ceri says it’s hard not to foster a love of food when you’re in a country that does food as well as the Americans! She moved back to the Wales in 2012 and by 2015 she had begun to create the Early Bird artisan bakery and cafe. In this genuine talk Ceri talks about what it takes to build your business from scratch and what it takes to keep going. This month’s speaker is Ceri Johnston, the brains behind The Early Bird bakery and cafe in Cathays. Ceri grew up in America, outside Washington D.C., to diplomat parents and says it’s hard not to foster a love of food when you’re in a country that does it as good as the Americans. Ceri moved back to the UK to study art history, fell in love, graduated at the height of the recession, moved to London and remained gainfully unemployed for months before getting into professional cooking “by happy accident”. 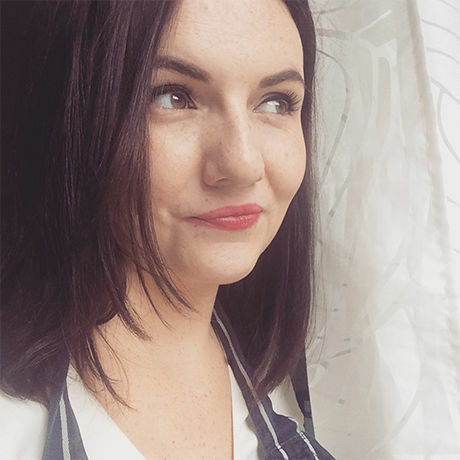 Hiraeth brought Ceri back to Wales in 2012, and in 2015 she set her sights on self-employment and put a deposit down on what is now The Early Bird artisan bakery and café. You can’t miss it – it’s the bright-yellow building on Woodville Road in Cathays with the heavenly smell of freshly baked goods wafting out. This month’s theme is commitment. Ceri will be talking about how commitment played a huge role in The Early Bird’s success and exploring the ways in which commitment can be applied to anyone’s journey.